It’s officially Summer 10x10 time! This challenge always seems to come around when I’m lacking inspiration with my wardrobe. It's got perfect timing because I think the best time to play with limits is when I feel myself reaching for the same pieces. Bags, accessories, gym clothes and loungewear don’t count. Bottoms, tops, dresses, outerwear, and shoes do. I've totally chosen not to count shoes as part of my 10 items before and don't count outerwear. There's no 10x10 police who will kick you out for bending the rules to accommodate what works best. 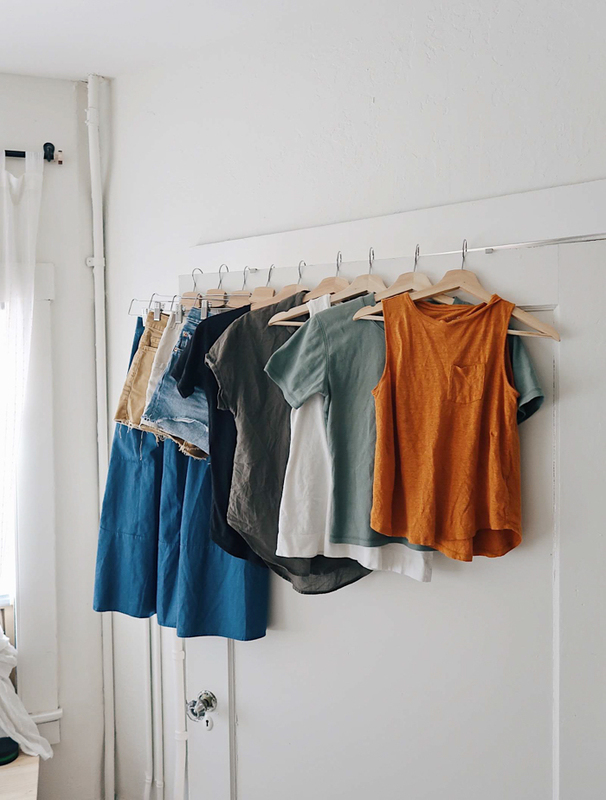 There’s no need to buy anything and you don’t even need a capsule wardrobe to participate! The challenge officially kicks off tomorrow. In fact, this might be the perfect challenge if you’re considering starting a capsule wardrobe. It gives you a chance to practice the planning process without the pressure of picking items for a whole season. I’ve never really set goals during these challenges – probably because my goal was just to make it all 10 days without outfit repeating! But since I’ve proven my ability to enjoy and complete a 10x10, I figured it was about time to set a goal or two. My main goal this time around is to wear lots of color. It can be so easy to rely on neutrals when working with a small number of pieces. There’s nothing wrong with neutrals. Believe me, I love me some airy white linens and sandy tan pieces. But this time, I wanted to take on the extra challenge of proving that minimal doesn’t have to mean neutral. My lifestyle and schedule over the next 10 days are very casual. My days as a new mom consist of morning walks, some errands, writing at coffee shops and lots of time hanging out with my baby at home. Let me show you what I’ll be wearing over the next 10 days. There's still time to join the fun! Here's how I plan my baby capsule. We all have certain pieces we love wearing. Start there! 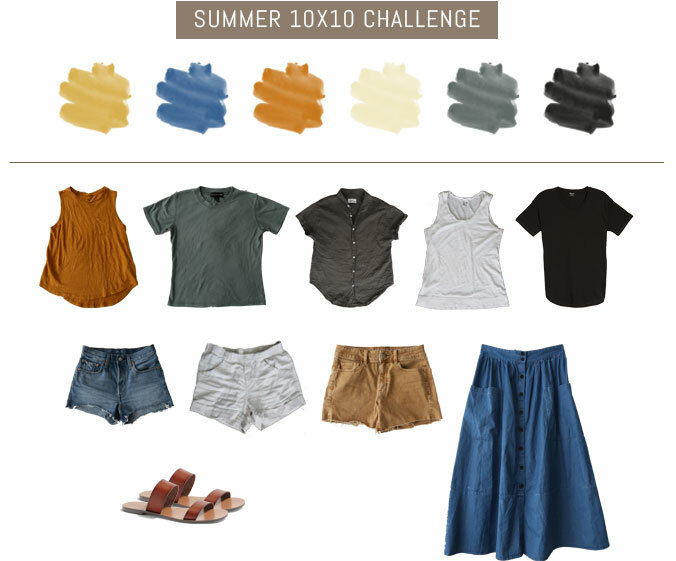 For example, I picked my current favorite tank top, denim shorts and go-to sandals because I wear them all the time, even without the challenge. Use these items as the base for the rest of your challenge. Using the weather, your schedule and lifestyle, pull some more pieces that you love to wear to fill in the gaps. Is everything you're pulling super colorful? Grab a couple of your favorite neutral pieces to up the versatility of your mini capsule. And that's it! The entire process takes less than 30 minutes. I’m so excited to see what this challenge teaches me this time around! Let me know if you plan on joining the fun. I'll be posting over on instagram if you want to follow along!